I know that I did a post already for today, but I just wanted to post one more song for today to minister to your spirit by Hillsongs Young & Free called Never Alone. Sometimes, people can feel isolated in their own personal pain and issues that they face in life and don’t seem to know how to deal with it. However, no matter who you are, God wants you to know that He is there with you even in your darkest hours. 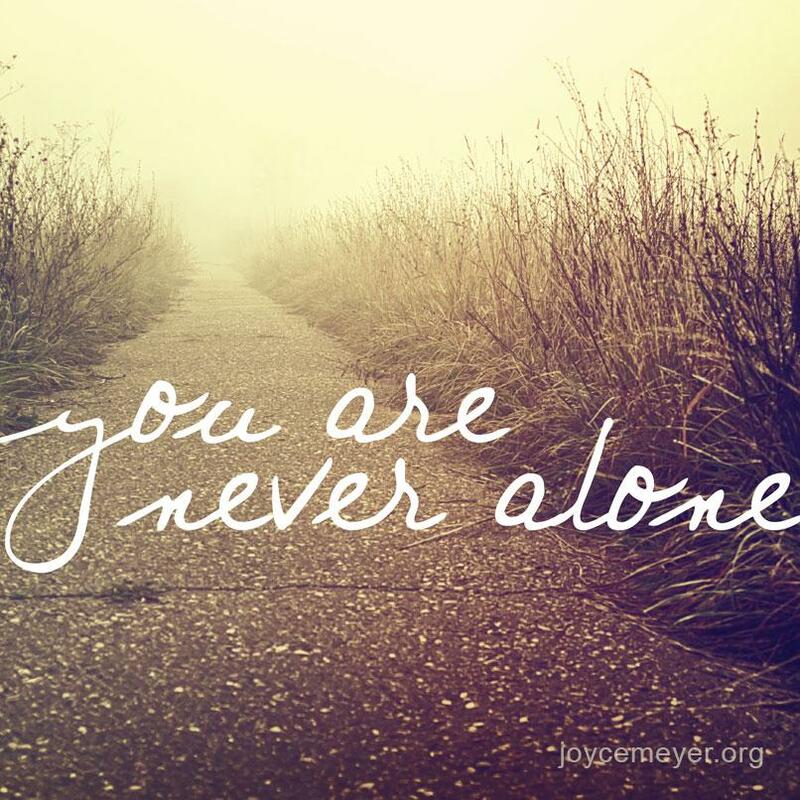 You are not alone or as lonely as you think you are because God is with you whether you believe this or not. I know that my God has been with me throughout my whole life in so many various circumstances, that I am convinced that He is a Faithful God. I have seen the amazing grace and power of God time and time again in my life as He has walked me through this whole process of healing from a viral infection of the brain that caused me to lose my short-term memories (encephalitis) to which I could have died, had I not been sent to hospital fast enough after my family received a second opinion from a different doctor after the first one thought I just had a “cold” and would get better if I just simply rested. The Grace of God is real my friends. Life has a way of chipping at the inner core of your being, but even when such things happen, God has the power to restore all the things that left us broken. He heals us beyond our imagination because He said that He would never leave us nor forsake us. You’ve got to trust in Him Who says that He would never leave you nor forsake you. We are not alone. He that is with God is with majority. Only Him can build us and will never abandon His people. I derived inspiration from this piece. Wonderfully true Sherline! God bless!